Nestled in the northeast corner of Spain, you’ll find a quiet village that exerts a surprising influence on home improvement work all across Canada. The town is called Ripoll and it’s one of the last remaining sources of European-built power tools in the world. This also makes it something of a mystery. 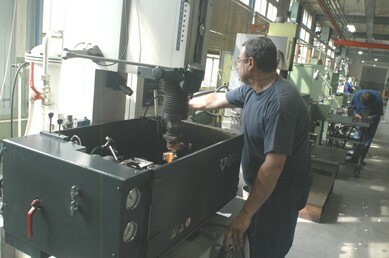 Freud is a power tool company that’s known around the globe, and its entire line of corded tools are made at Ripoll in a stone and brick facility that has been in continuous industrial production since 1881. This place is clean, surprisingly quiet and a lot more beautiful than you’d think a factory could be. I know because I visited the place in early May. 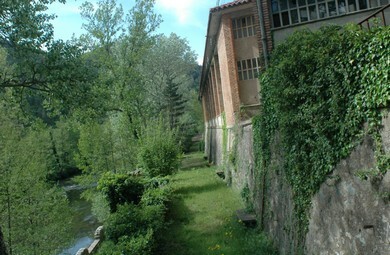 Through the open, screen less windows in the factory you can even hear cowbells ringing from the slopes of the Pyrenees Mountains that rise behind the river as it flows past the plant. The Spanish design team at Ripoll has also just brought one of the nicest mid-sized routers to production, and it raises a big question for me. Routers are hand-held power tools that let you create decorative edges and interlocking joints in wood of all kinds. In it’s simplest form, any router is really just a large electric motor with handles, spinning a bit that cuts wood. If you want to boost the quality and variety of home improvement projects at your house, then a mid-sized router is an excellent way to do it. Most handy dads have a router of one sort or another on their Father’s Day wish list. 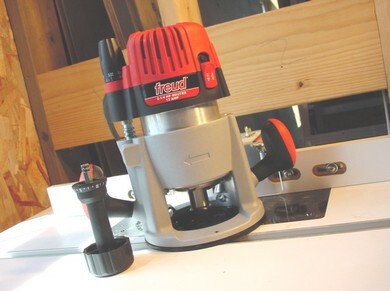 The brand new 2 1/4 horsepower Freud router is called the FT1700, and it’s a rare and fascinating example of how one small remnant of the European tool manufacturing tradition has somehow managed to survive and thrive in a world overwhelmed by low-cost, Asian tool production. Not many power tool companies can compete using first-world facilities any more, especially when the power tools they make are priced low enough to fit within ordinary do-it-yourself budgets. The FT1700 routers that are hitting Home Depot shelves right now cost $239. That’s not much more than I paid back in 1980 for a router that had only 1/3 the power, no variable speed, and far fewer features. Tools everywhere are getting better and cheaper all the time and the FT1700 is a case in point. But the fact that this tool is also made by people earning good wages in a safe, employee-friendly plant is certainly an unusual situation. And I’ve got to wonder if it has something to do with a guy named Saint Eudald. In the year 1004, a severe drought gripped northern Spain, and on August 9th a somber procession was held through the town of Ripoll. As the relics of Saint Eudald were carried through the village, the drought ended in abundant rainfall, vaulting Eudald to the status of Ripoll’s spiritual patron. 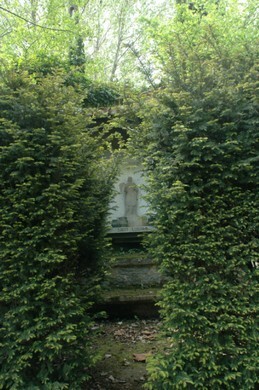 Even today, along the River Ter that runs behind the Freud plant, you’ll find a statue of the saint in a leaf-shrouded grotto. Perhaps Eudald’s influence extends to warding off droughts of a financial sort, too. The FT1700 is one of the first routers to incorporate a design feature that I’m sure will become standard in a few years. It’s generically called ‘top of table bit adjustment’, and to understand what it’s all about, you need to realize that a router can be used in two ways. When you want to work with a router, you can hold the tool in your hands, or mount it upside down in a router table. This second option boosts the usefulness and safety of the router a lot, but table use also poses a problem. With the router bolted underneath the table, it can be a hassle to make adjustments to bit height. 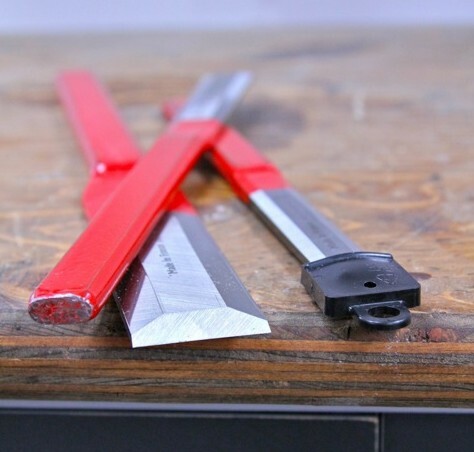 The FT1700 sidesteps this problem with a detachable hand crank that extends down through a hole in the top of the router table allowing the bit to be cranked higher or lower with ease from above. This is a brand new router feature but you have to wonder why it hasn’t been around for years. The story behind the FT1700 is like others that are appearing more and more often. Tools are improving quickly, costs are dropping steadily, and handy people everywhere are reaping the benefits. All we need to do now is stop watching home improvement television quite so much and actually get some work done.